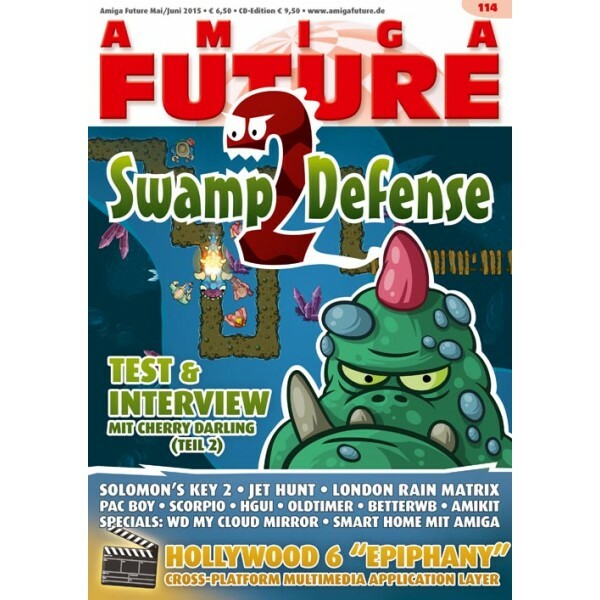 Swamp Defense 2, Solomon's Key 2, Jet Hunt, London Rain matrix Pac Boy, Scorpio, Vintage, BetterWB, screensavers, Hollywood 6.0, AmiKit 8.3. WD MY Cloud Mirror, Smart Home, Classical meditations part 21 Haage & Partner, Demo Scene. Interview Cherry Darling Part 2, Interview Alastar Murray, news, editorial contents, Imprint, contents cover CD, letters to the editor, Preview.